Many homeowners and business owners underestimate the danger mold presents. While mold is generally thought of as unsightly, it can actually be known as one of the worst contaminants. Mold can grow indoors on wet or damp surfaces, such as wallpaper, ceiling tiles, carpets, insulation material, wood and drywall. It can start to grow within 48 hours and if left unchecked, can have serious impacts on both your quality of life and your home's physical structure. If you've noticed the presence of mold in your home or business, or think that you have black mold, ServiceMaster Restore of Sudbury, your local mold removal experts, are here to help with mold problems and prevent long-term damage. Mold can occur following water damage or flooding. Fast, effective action is essential for effective mold removal. By eliminating the water source and implementing rapid drying, ServiceMaster Restore of Sudbury can put a stop to mold growth. We stand at the top of the mold remediation industry, leading the way with trained technicians and techniques for proper and effective mold removal. We will assess the situation to establish the best mold removal procedures to meet the need. Since mold has the ability to start growing within 48 hours, it's important to react quickly to water damage. 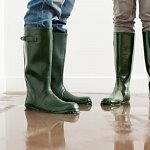 We use highly effective drying techniques and monitoring tools to measure your home's temperature, humidity and moisture content. Keep your living or work environment healthy by contacting ServiceMaster Restore of Sudbury for mold removal and mold prevention services immediately. Taking immediate action can make the difference between a small problem and a much larger situation. An organic food source: cellulose in paper, wood, or drywall, natural fibres, even soil. When allowed to grow, mold causes discoloration and structural damage to building materials. A significant amount of mold impacts indoor air quality, requires specialized remediation techniques and is costly to remove.